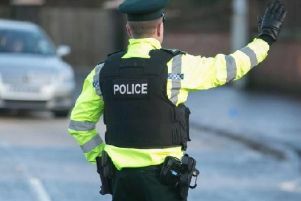 Reports that three men followed three school girls into the grounds of a Craigavon school are being probed by the PSNI. Police said they received reports of ‘suspicious activity’ around Lismore Comprehensive when three girls were allegedly followed onto the school grounds from the underpass. “What we can say however is that there was no direct interaction between the males, who were in their 20s, and the girls. “There is the obvious concern around their intentions with the girls, however it cannot be ruled out that any sinister intent was aimed at the school building itself in the run up to the summer break. “With no motive, or indeed confirmation of anything untoward, this is still a good time to remind parents and students of stranger danger, the importance of not stopping for anyone you don’t know, and going straight to somewhere you know is safe. Home, a friends house, or in this case school. Don’t accept lifts, sweets, or any other unsolicited gifts from strangers.